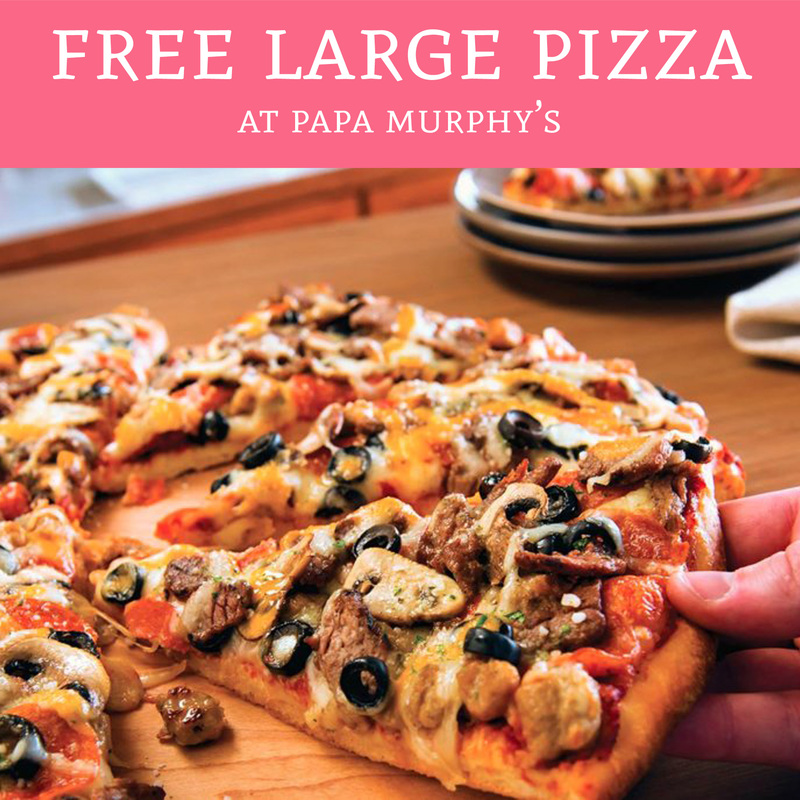 Right now Papa Murph’y is giving away FREE Large Pizza’s! Simply text FREEPIZZA to 90421 and reply Y to sign up for text alerts. You will receive a final text with your FREE Papa Murphy’s Pizza offer! Offer is valid for online orders for new subscribers only. No purchase necessary.